Experience the amazing adrenalin rush of Off-Road Buggy Racing on a purpose built 1.5km super dirt track in Taghadoe, Maynooth, Co. Kildare. 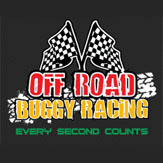 Choose from Buggy Racing Ireland exhilerating off road buggy experiences. The track features 45 degree banked corners, awesome jumps, corners, chicanes and hairpins that will test your driving skills to the max in our powerful Honda V-Twin Buggies. Minimum participant age is 17. Drivers must hold a valid full driver’s license or a valid learner permit. Buggy Racing Ireland is based in Taghadoe, Maynooth, Co. Kildare. They operate 9am - 6pm, Monday to Sunday. Advance booking on AllGifts.ie is required. Open Satuday with 10:00 and 13:00 start times. Take exit for Maynooth from the M4. At the roundabout take the second exit sign posted for Naas R406. At the crossroads (at the large ESB station) turn right. Finally take your first turn left at Leinster Driving Campus entrance. Take exit for Maynooth from the M4. Turn right at T junction off the motorway. At the roundabout take the second exit sign posted for Naas R406. At the crossroads (at the large ESB power station) turn right. Finally take your first turn left at Leinster Driving Campus entrance. From Clane take the R403 to the Barberstown roundabout and take first exit going left signposted for Maynooth. Continue on the R406 till you come to a crossroads (at the large ESB power station) where you'll turn left. Finally take your first turn left at Leinster Driving Campus entrance. From Maynooth town follow the R406 heading for Straffan or Naas. Go over the M4 and at the roundabout take the second exit sign posted for Naas R406. At the crossroads (at the large ESB station) turn right. Finally take your first turn left at Leinster Driving Campus entrance. 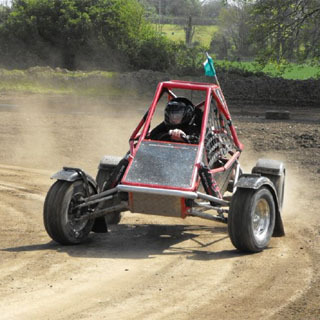 Off-Road-Buggy-Racing Ireland is ideally situated only 2km from the M4. 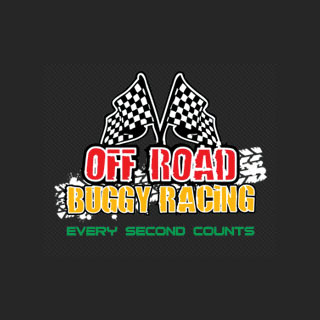 So if you are looking for buggy racing in Maynooth, Celbridge, Leixlip, Naas, Newbridge, Lucan, Clane, Kilcock areas please feel free to give us a call at 01 6106735 - we are available to take your call Monday to Saturday 9am to 5.00pm. Buggy Racing Ireland offers an adrenalin pumping experience, racing high speed buggies on our purpose built 1.5km super special stage dirt track that produces an awesome driving experience. Experience high speeds, the awesome jumps and sliding action in the latest and safest 'state of the art' purpose built Rage Buggies, powered by robust Honda V-Twin petrol engines, giving strong performance from its 620cc capacity. The buggies have FIA approved racing safety features inbuilt, including safety harnesses and racing seats. Decked out in your full face helmet, overalls and strapped into a 5 point race harness you are completely safe to unleash your inner speed demon and enjoy an exciting and competitive racing challenge. Drivers must be over 17 years old. Please note that deposits are non-refundable. The buggies offer a fast, furious and rough ride for anyone who loves a thrill. All passengers and drivers are required to sign a waiver of liability form (ages 17 - 18 years will need a parent/guardian to sign on the day). How it Works: Use this gift voucher on AllGifts.ie to make a booking with Buggy Racing Ireland. Or you can swap this voucher for any other gift or voucher listed on AllGifts.ie. Simply follow the instructions at the bottom of your voucher.